Searching for the best canned dog food brand and can’t figure your head around the too many brands out there? You are not alone! Many pet owners face the same problem. With loads of different dog food brands scattered everywhere online and each claiming to be the best; how can you actually know the difference? 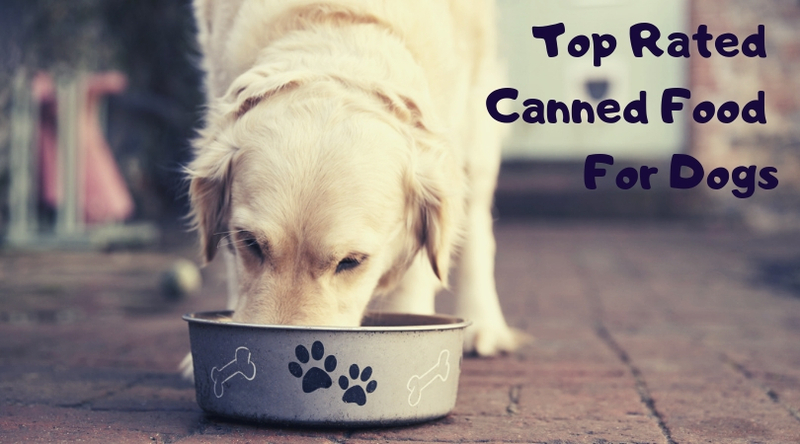 To make your search easy as possible, we have put together in this canned dog food buying guide and topped it with our picks of the top ten best canned food brands. The best canned dog food commonly comes in a wet form which is preferred by dogs. The reason is clear. Wet canned foods are more nutritious and more palatable than dry kibbles. They also come in varieties of tastes and flavors. This is why your dog would quickly go through the canned dog food and leave you with an empty dish in a twinkle of an eye. Who doesn’t enjoy sumptuous and yummy food? Even your pooch does. Sure, it does! Canned dog food can be a great addition to your dog’s meal even if you don’t want to feed him exclusively on wet canned food. You can also use it as an occasional treat for your dog if you can’t afford the cost. But the broad range of options on the market certainly makes purchasing canned dog food much more thorny, plus the risks of making a wrong and poor quality choice. Most American dog-pet keepers prefer to feed their dogs with kibbles. Apart from being more palatable, there are other good reasons why you may want to explore canned dog food for your doggy friend. Canned dog foods are the much-preferred option for small dogs and senior dogs whose appetites are no more as great as usual. It is also a better feeding option for dogs recuperating from illness or surgery. Dogs with dental issues which make biting and chewing difficult will also be grateful to you. The popularity of dry kibbles over canned dog food brand has nothing to do with the quality but the cost. The cost of canned dog food per ounce is more costly that kibble and most American dog keepers find it uneconomical particularly those who keep larger dog breeds. Apart from the higher cost, your dog would eat a lot more of the canned dog food daily than the kibble which adds to the overall feeding cost. However, to offer their dogs a good mix of flavors, many dog owners buy canned dog foods as a treat or addition to their dog’s dry dog food. The best canned dog food brands produce high-quality wet dog foods made with premium ingredients. They don’t contain loads of grains, chemicals or fillers. The common ingredients you’ll find in these foods include healthy meats, commonly covered in gravy. They are preferred for appetizing and delicious tastes. They contain a higher percentage of protein and fat than a good number of kibbles. The protein and fat content in the good canned food partly contribute to their yummy tastes. The increased moisture content improves the health of the dog’s kidney. They are much more digestible. They contain fewer amounts of carbohydrates and grain than kibble. They come with little or no fillers or artificial additives and no preservative because the canning process is enough preservation. However, once they are open, they can go bad much more quickly. They can be messy and cannot be easily stored when open. They go rancid much more quickly after opening. They can sometimes contain unhealthy thickening agents like carrageenan. The lining of the can contain chemicals like the BPA (Bisphenol-A). As you can see, both kibbles and canned dog food has their pros and cons. What you feed your dog depends on your peculiar situation. So long as your dog gets the best nutritional requirement for their optimal growth, everything should be fine. Many pet owners find an estimation of the Dry Matter Basis (DMB) a bit of a hassle. However, it must be done as to feed your doggy friend with good canned dog food, and it is a necessity. You can get the amount of protein, fat, and other nutrients are in a canned food wrong if you don’t first convert the quantity into the dry matter basis. Although you can do same for dry kibble, it is not necessary because they frequently contain ten to twelve percent moisture. The protein and the remaining nutrient content in dry food kibbles are very close to the real dry matter figures. However, when you are dealing with canned foods, the moisture content is as much as seventy-eight percent and above. You’ll require eliminating the water percentage from the figure to be able to know the real amount of protein, fat, fiber and other nutrients in your pooch food. The best way to get the real dry matter basis for canned dog food is to make use of a convenient DMB online calculator. It is also hard to compare calorific contents of canned food than kibbles. For kibbles, the calorific value is frequently represented in kcal per cup or kcal per kg. However, the calorific value is commonly presented on a per can basis. Given that canned dog foods come in different price ranges from 3.3 ounces to 15 ounces and the size differs from one company to the other, you can easily get confused when counting calories. While making a comparison to get it correct, you must only compare equal amounts. They contain more of the meat source listed as the first ingredient than all the other ingredients in the list. The origin of the animal protein or fat used must be specified. If there are organs and species included, they must be named, and body parts need to be mentioned. They contain whole grains and vegetables. There is little or no addition of grain, meat, or vegetable byproducts. It must carry the “complete and balanced” label, tag given by AAFCO. While shopping around makes sure that the canned dog food you choose contains the following components. Although there is not a single best canned dog food brand that would be a perfect choice for all dogs, choosing with these quality ingredients assures you of the quality you are purchasing. Ensure you choose an option that contains the best whole ingredients and fewer additives. Protein - The chief ingredient in good canned dog food is commonly protein. Ensure that the source of the protein is named like protein from chicken, lamb, beef, etc. Grains - The grains included in the meal need to be whole and unprocessed. Grains and carbohydrates are not compulsory in canned dog foods, but they are almost always involved in one form or the other. The best grain type is brown rice or wild rice. Wheat gluten, corn starch white rice is not created equal to brown rice. Vegetables - The vegetables commonly used as thickeners are potato and sweet potato. They are okay in so far as they come as the number six or seven ingredient, compared to when they are listed as the third or fourth. Some premium canned dog food also contains non-starchy vegetables like carrots, alfalfa, or apples. 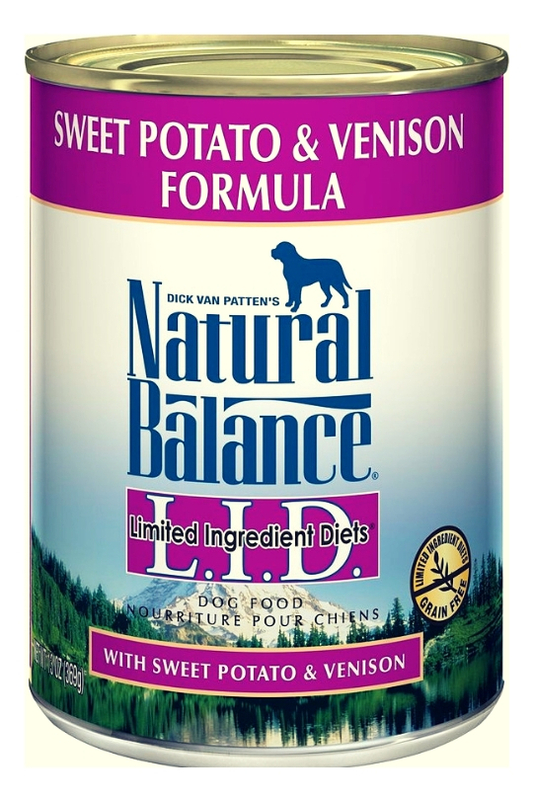 Complete and balanced - A premium-quality canned dog food must be tagged as a “complete and balanced” dog food. This indicates that it passed the quality control check of an AAFCO or that it is part of the food line that the AAFCO has previously given its approval. By-products - Watch out for canned dog foods brands that list meat by-product as one of their main ingredients and stay away from them. They can as well refer to it as “modified beef” or related names. Canned food with Non-specific or unnamed animal sources - If a canned dog food lists unspecified organs as part of the primary meat source, try to avoid it by all means. If you see something like “liver,” “heart” and “tripe,” without a mention of the particular animal from which the part is obtained or any unidentified “poultry” part, you should avoid it. Food binders - Canned dog food with highly processed meat sources contains binders to keep the meat together to appear like natural “chunks”. Avoid foods that contain wheat gluten and gums like guar and carrageenan. If you want to buy one to check, ensure that the binders are listed as the last part of the ingredient. Also, avoid foods with Sugar or sweeteners, and artificial coloring or excess preservatives. No canned dog food would be a perfect fit for all dogs. While choosing the best dog canned food, you need to consider the unique needs of your furry friend. If your dog is susceptible to urinary tract infections, try a less acidic food or food with lower in pH. An active and lean dog would need food high in fat and protein. For older and less active dogs, food with a higher percentage of lean protein preferred. Before switching your dog to canned dog food, ensure that the dog food brand is readily available. Although with only food sources, like Amazon you can always get what you want, but you must also watch out for availability. Also, remember to factor in cost when choosing canned dog food. While you need to give your dog the best, choose the best within your comfortable means. The way to figure out what you need to buy is to make a monthly budget for your dog food and stay within that limit. The company is reputed for the production of quality wet or canned dog food and regularly lunch different lines of dog food products. 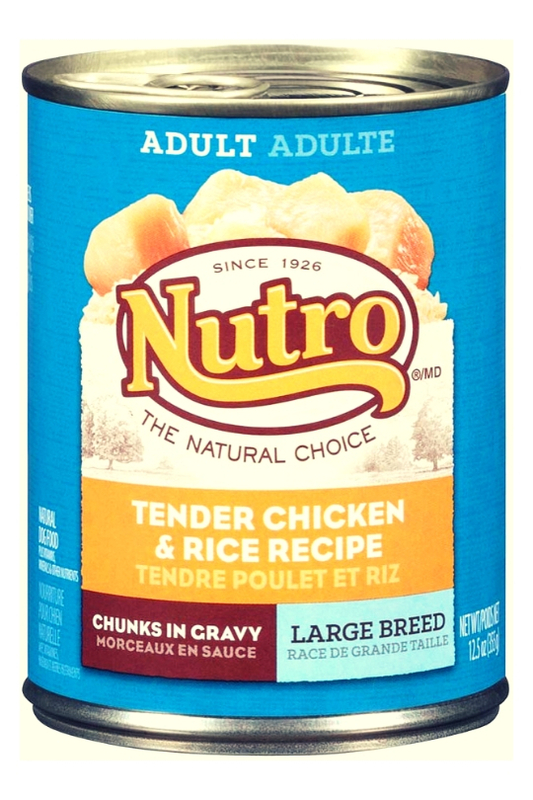 The Purina ALPO Chop House Wet Dog Food, for contains real chicken or beef as the main ingredients and comes with savory juices which give it alluring flavors. The tender texture and premium quality protein make the delight of dogs. Again, the Purina beyond Natural Grain Free Ground Wet Dog Food comes in six 13oz Cans of Purina Beyond, per pack. It is grain free and gluten free. The number one premium ingredient it contains is either, beef, chicken or salmon topped up with vitamins and minerals. It doesn’t contain poultry by-product meal or man-made colors, flavors or preservatives. 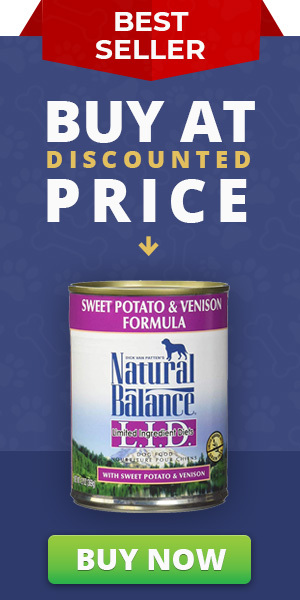 This company’s canned dog food comes with a natural Wet Dog Food fortified which contains vitamins and minerals. 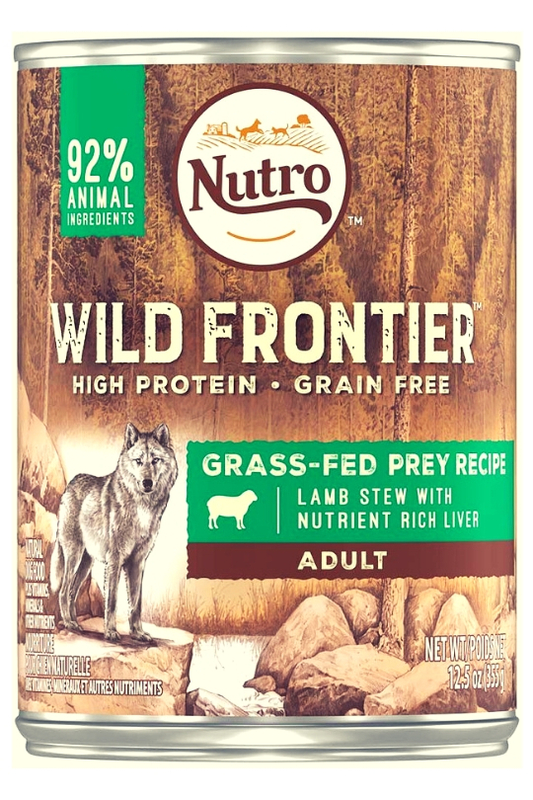 It is produced with real meat from Hearty Beef Stew, Chicken Paw Pie, Savory Lamb Stew, salmon, and whitefish mixed with vitamin, minerals, and taurine. It doesn’t contain corn, wheat or soy. It eliminates all forms of Meat By-Products or Fillers, manmade flavors or Preservatives. Fromm Family Gold Salmon and Chicken Pate is another good canned dog food brand. All the ingredients contained in their product are approved by the USDA and produced in the company-owned plants in Wisconsin. This means it has an equivalent quality like human food. All Fromm Gold dog food products are free from grain and made up of uncomplicated recipes. Fromm Gold Salmon and Chicken Pate, for instance, contain salmon and chicken as the main ingredient and added to them are chicken broth and chicken liver. The carbohydrate sources in their food are obtained from potatoes, carrots, peas, and flaxseed and tomato paste. Their other dog food types like Chicken Pate and Duck and Chicken Pate are produced similarly and contain comparable ingredients. The pedigree Choice comes in twelve 22-ounce cans and contains beef in Gravy. The company’s Beef in Gravy Canned Dog Food is the delight of dogs due to its irresistible taste. It contains the highest amount of oil and minerals to provide nourishment to the skin and coat of your canine friend. Pedigree choice cuts formula fulfills the nutritional levels requirement of the AAFCO Dog Food Nutrient Profiles for maintenance. It is easily digestible and readily absorbed by your dog. Choice Cuts is an excellent source of protein, fat, fiber and moisture for your Dog’s optimal growth. The Newman’s Own Organics Beef and Liver is one of the best options of canned dog food for pet owners that want dog food without any artificial ingredients including pesticides, additives or binders. It is a protein-rich canned dog food with beef and liver as the primary source of protein. It is sold in a 12 oz. can. 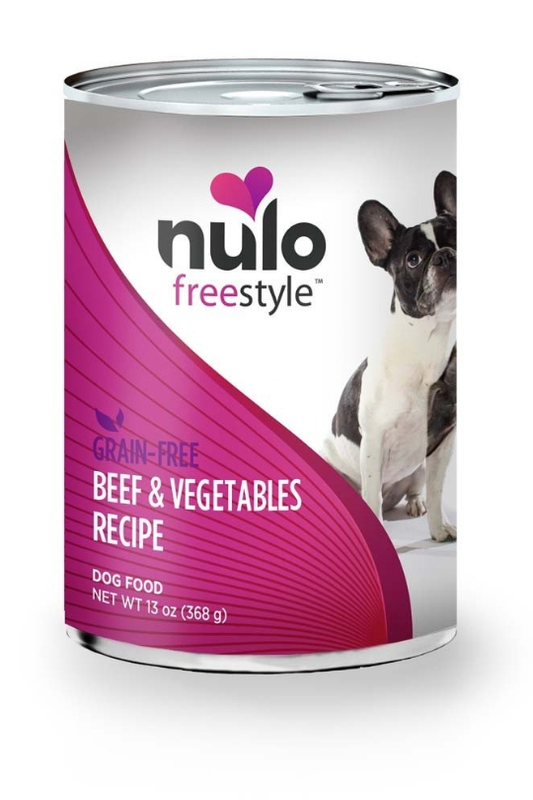 The beef for this premium dog food comes from Uruguay, which is disputed by some users. Nevertheless, the company argues that Uruguay has a reputation for raising cows that are free from Mad Cow Disease and the country’s regulation prevents farmers from using chemicals like growth hormones and antibiotics. The Hill’s science diet sensitive stomach and skin dog food is one of the premium food lines of the company. It is one of their recent brand launches and comes with the same great nutrients as the previous one. To feed your dog with this new canned dog food line, you are required to make the transition gradually. For the first seven to ten days, give your dog a mixture of the old and the new one. 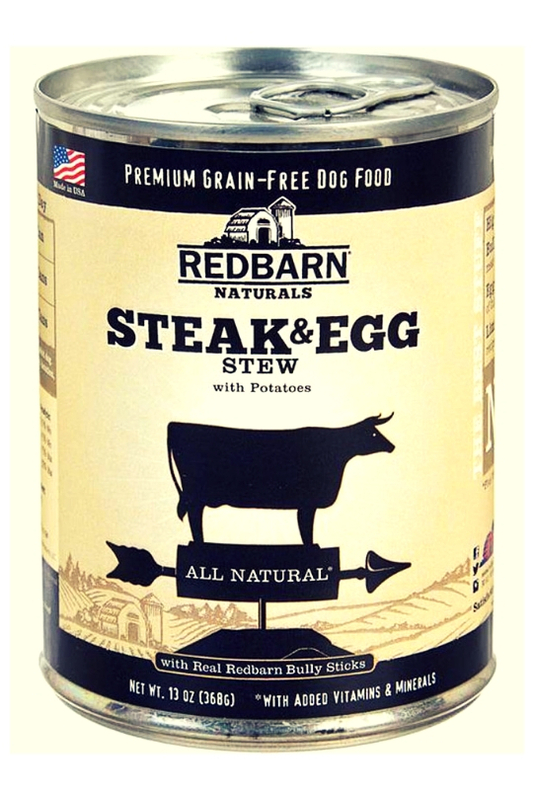 It contains natural Salmon, chicken broth, turkey, potatoes, carrots, Green Beans, apples and many more ingredients that ensure that your dog’s optimal nutritional needs are met. CESAR Filets in Sauce canned dog food comes in cases of (12) 3.5-oz. It is favored with Filet Mignon Flavor and New York Strip Flavor. CESAR Canine wet food comes with chunks of meat inside gravy containing complete and balanced nutrition for adult dogs. CESAR Canine Cuisine is fortified with vitamins and minerals to support dogs of all sizes particularly small dogs. With this dog’s cuisine, you’d be sure that your pooch is kept as healthy as it should. The savory gourmet wet dog food is served in suitable trays with simple, peel-away seals to keep them fresh. BLUE Homestyle Recipe Wet Dog Food comes with actual deboned chicken to offer your pooch all the essential protein and amino acids he requires for his day to day nourishment and growth. It also contains premium quality whole grains such as brown rice and barley. These are primary carbohydrate sources included in this reputable canned dog food option that provide your canine friend with an optimal amount of energy for everyday activities. Blue Homestyle recipe dog food also contains whole carrots and sweet potatoes topped with blueberries and cranberries. It includes no chicken or poultry by-product, corn, wheat or soy and also lacks any form of man-made flavor, color or preservatives. The Natural Balance Limited Ingredient Diets Wet Dog Food comes with a limited number of ingredients sources which is great for dogs with a sensitive stomach and those who suffer from food allergies. It contains complete and balanced nutrition for puppies, adults, and seniors without any added artificial flavors, colors, or preservatives. It contains no grain and is a great canned food option for digestive health. The premium nutrients it contains help to ensure that the skin of your doggy-friend and coat remains healthy and shiny. It is suitable for puppies, adults, and senior dogs. 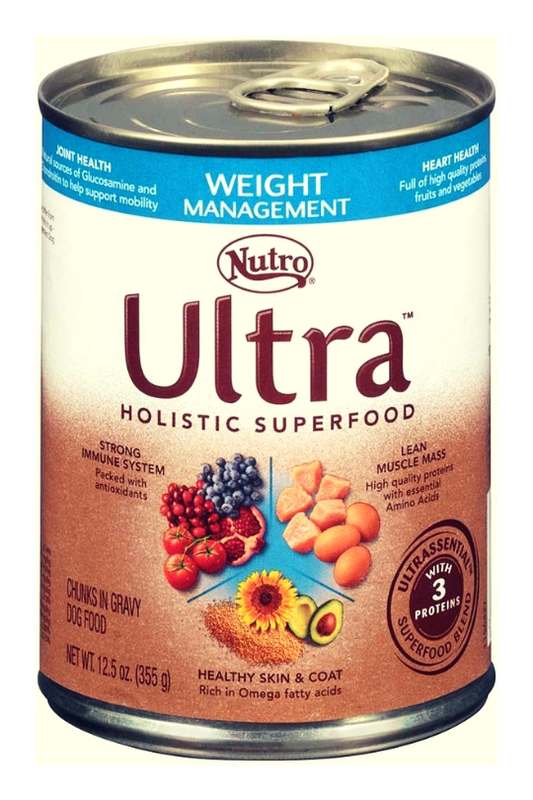 The Wellness Core brand is one of the most popular choices of canned dog food brands. Both their dry dog food and wet dog food are of premium quality and guarantee that your pooch is getting all its nutritional requirements. 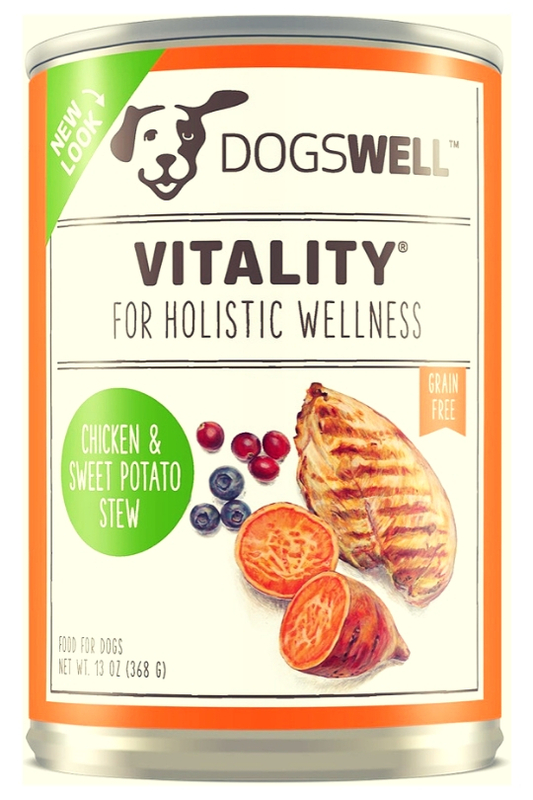 This food line of the company- Wellness CORE Natural Grain Free Wet Canned Dog Food features varieties of yummy flavors including white fish, turkey, chicken, beef, and lamb. 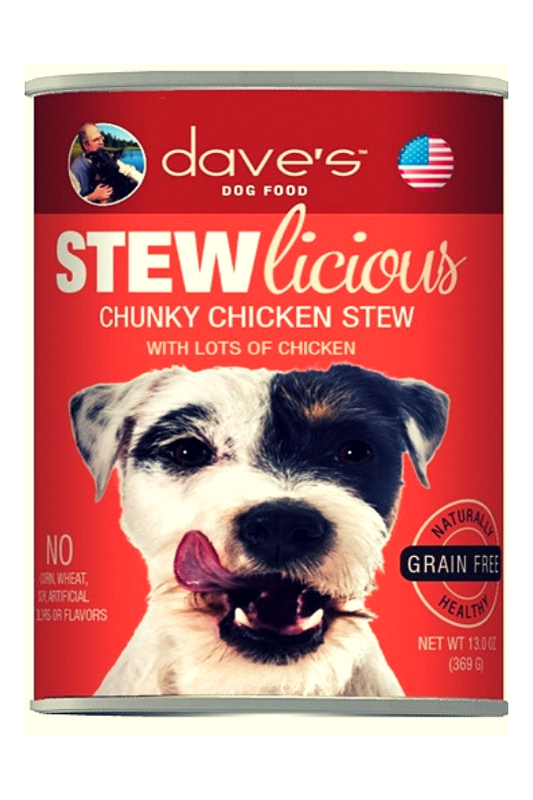 It is a protein-rich dog food with turkey and chicken as the main protein source and mixed with premium quality vegetables, essential vitamins, and minerals. It also contains specially formulated puppy and weight management formula. It is produced in North America and is certified by the wellness guarantee. It is manufactured with premium and natural ingredients with no artificial additives like coloring flavors or preservatives. It also doesn’t contain wheat, corn, soy or any form of meat by-products. It is a good canned food option for small breed dogs but can be used to feed dogs of all ages, sizes, and breeds. Best canned dog foods are frequently complete and balanced high-quality dog food. They are much yummier and often more appetizing than dry kibbles. Although companies that produce dry dog food like dry kibbles try to make it more appealing and appetizing with a coat of alluring fats, gravy, and other types of flavors, the taste cannot compare with the delicious aroma exuding from a freshly unfastened canned dog food. 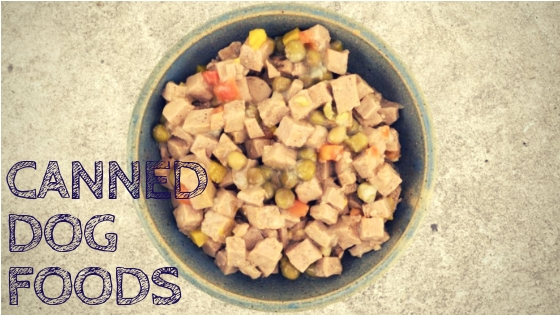 The texture of canned dog food makes it more appealing and irresistible to dogs with picky eating habits. However, for dogs with a voracious appetite, you need to be careful of over-feeding when deciding to feed your dog-pet with excessively yummy canned dog food flavorings. Dry dog foods come with their benefits too but to offer your dog a balanced diet, you may need to incorporate canned dog food either as a treat or as toppings. Best canned dog foods are made up of higher quality and a high percentage of protein than you’d obtain in dry kibble. They are as well low in carbs and have a high moisture content. Experts suggest mixing the two types of dog food for the best tasty option. All of the best canned dog foods are meat-rich and contain less or no fillers, by-products and man-made preservatives.